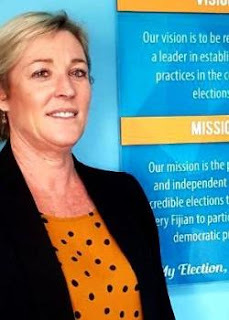 Winter has significant experience in the management of elections, both in New Zealand and as a technical team leader for the NZ Electoral Commission programme. She possesses 27 years of experience in elections and was a Returning Officer for many years. Elections Supervisor, Mohammed Saneem says Winter has extensive knowledge of the Fijian Electoral System and its processes which is a significant asset for the FEO for the 2018 General Election. Winter is on secondment from the NZ Electoral Commission and says she is looking forward to the job at hand.